My career as an Auto Mechanic began in 1989 at York County Area Vocational Technical School where I earned a degree in the Automotive Technology Program. As a student I learned comprehensive auto mechanics from engine rebuilding and engine maintenance to drive train system and chassis; as well as gaining extensive knowledge in advanced diagnostics in mechanical and electrical defects on a variety of vehicles. During the summer of 1991 in addition to attending classes I worked a co-op program at Griffith Honda until graduating in 1992. Upon graduation I began working full time at Griffith Honda while also traveling to New Jersey for one week intervals to receive specialized training through the PACT program; Honda’s Professional Automotive Career Training. With hard work and determination I climbed the ladder to Honda’s Gold Level and obtained certification through the ASE; National Institute for Automobile Service Excellence, becoming a Master Automobile Technician. In 2000 I began training for management and became a Team Leader. By 2003 I decided it was time to venture out and start a business of my own. I searched property listings in the area and found a garage for lease that suited my needs. 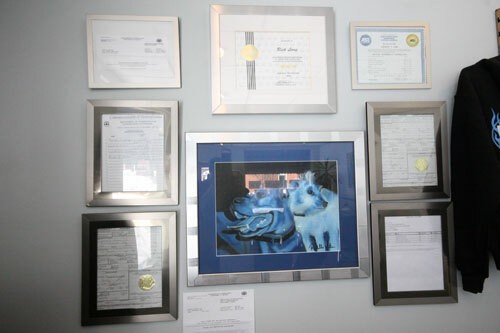 After three months of minor restoration and customization Mugsy’s Repair opened its doors to customers in August of 2003.
Business was steady and thriving from the beginning. Within two years we had outgrown the small building and were looking to expand. I purchased a former Carpet and Tile Warehouse a block from the current location. 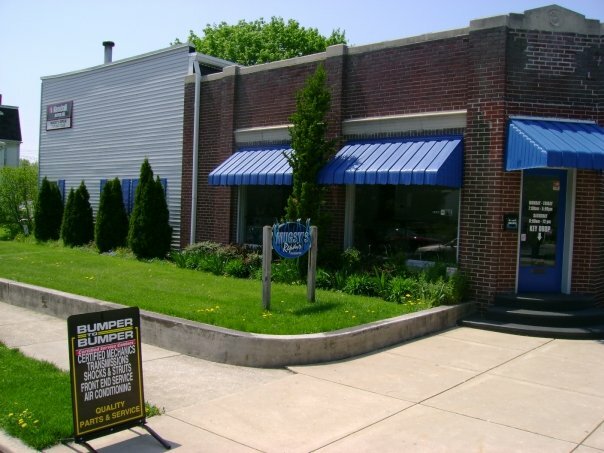 From October of 2005 to April of 2006 I oversaw extensive renovations to the new property while still keeping the existing business in full operation. The process included pouring a cement floor and removing an entire level of the warehouse to expand the shop size to accommodate four lifts. I designed every inch of the floor plan from the garage and offices to the reception area. Mugsy’s Repair has been in business for over ten years, being voted one of the Best of York County in 2011 and again in 2012. As owner I oversee both the technical and administrative requirements of the business. I appreciate your time to read how Mugsy’s came to life and looking forward in providing you honest automotive maintenance for your vehicle.